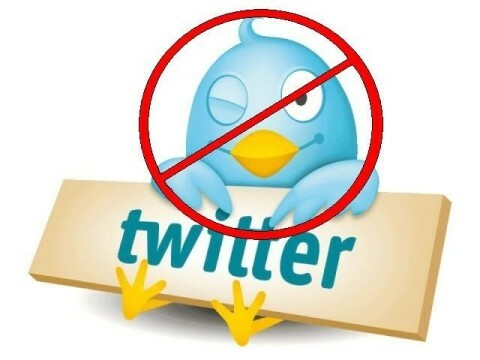 There is an erroneous belief that, as a matter of courtesy, to follow a user on Twitter he should follow you. Surely more than once you have made the inevitable question: “Why do not you follow me”. Everyone has their own way to filter out who to follow and who is not, but here are five reasons on which concentrate before deciding to follow a certain user. In Twitter there are very different user profiles, from what they read in the shade and just published, to upgrading dozens of times a day to comment until irrelevant detail that flood their lives. The problem with the latter is that they saturated the timeline of his followers in a matter of minutes. This problem is further increased if your followers are new who follow few people. What is ideal? Find a balanced rhythm of publication. When a person follows you on Twitter, it is supposed to do it because you care about what you write on your own. If you limit yourself to share too much personal information (e.g., “I’m taking a coffee” or the like) surely many users do not worthwhile proposition to include you in his Follows. The idea is to share interesting information with the rest, whether personal or otherwise, but interesting at the end of the day. Have you seen the last chapter of ‘House’? ‘? Leverages Twitter to say it and to add your opinion. Are you in a certain place? Discuss it personally. No need to resort to third party applications that all they do (in this case speak of GetGlue or Foursquare, but there are many more) is to populate the timelines of people with irrelevant automatic updates. I’m not saying you can not use these services, but if you do at least disable the option to automatically posted on Twitter, especially if you use it regularly. Retweets are very useful when, in individual cases, want to share something that someone else has said, but as in everything there is to know use them sparingly. If your account no longer post tweets own and becomes a mere speaker other, there is always the possibility that your followers follow directly to those other people and eliminate the middleman, which in this case you. Your Twitter page is your presentation for the rest of the network. If you do not personalize it or continue to use the image of “little egg” which is the default, it is likely that people will think that either well you don’t understand very well how it all works or you’re just “passing” around here, so not worth it to follow you. It also never hurts to fill the space for biography that Twitter offers, as many users will rely on it to determine if you share common interests before giving the “follow” button.